Alaska’s North Country Castle Bed and Breakfast has been given the top green rating in Alaska with 6 leaves. It practices composting, energy and water conservation methods, environmental cleaning, recycling bins throughout the hotel. This B&B also participates in green programs and promotion of green aspects and business options. This B&B also uses eco-friendly food options including organic food, durable service items, and compostable and recyclable disposables. If you’re interested in Alaska’s North Country Castle Bed and Breakfast, you can find it at 14600 Joanne Court. Our experts can give you directions when you pick up your Avis Alaska car rental. Hotels with lower green ratings in Anchorage include Courtyard Anchorage Airport, Fairfield Inn Suites Anchorage Midtown, Marriott Anchorage Hotel, Residence Inn Anchorage Midtown, and Spring Hill Suites Anchorage Midtown. Each of these hotels use a variety of the green methods used by Alaska’s North Country Castle Bed and Breakfast. With 4 leaves, the McKinley Chalet Resort has the highest green rating in Denali. This hotel uses eco-friendly food, recyclable disposables, and recycling bins throughout the building. It practices environmental cleaning, water conservation, and energy conservation. The McKinley is also involved in promotion of green aspects and participation in green programs. Avis customer service can show you how to get to the McKinley resort located at Milepost 238 George Parks Highway in your Alaska car rentals. The Denali’s Faith Hill Lodge has the second highest green rating with 2 leaves. It practices energy conservation and gray water recycling. The Denali Faith Hill Lodge is located at Mile 19 Lignite Road. Those who are visiting Healy can also stay at Denali’s Faith Hill Lodge, which is close to both cities. Other green hotels in the Denali region are the Denali Wilderness Lodge and the Denali Riverview Inn with a 1-leaf green rating each. Alaska’s Skyline Accommodations in Soldotna boasts a 5 leaf green rating, and is located right on the Kenai. It uses recyclable disposables, compostable disposables, durable service items, and guestroom and hotel recycling bins. It practices composting, energy and water conservation, environmental cleaning. The hotel also participates in green programs, and promotion of green aspects. Alaska’s Skyline Accommodations offers two bedroom, 1 bath rentals. Alaska’s Ridgewood Wilderness Lodge has a 4 leaf green rating. It offers high speed Internet, to increase their guest’s comfort. The lodge uses only eco-friendly organic food. It practices energy and water conservation, gray water recycling, and environmental cleaning. The lodge participates in green programs and promotion of green aspects. With a 1-leaf green rating, the Tutka Bay Wilderness Lodge is your other green option in Homer. It uses organic eco-friendly food and promotes green aspects. Caribou Cabins, located on Borealis Ave, has a 3 leaf green rating. It practices water and energy conservation methods, and environmental cleaning. The other option for green accommodation in Tok is A Mooseberry Inn Bed and Breakfast located on Mes Way. This B&B has 2 green leaves. It uses durable services items and has a fresh air program. 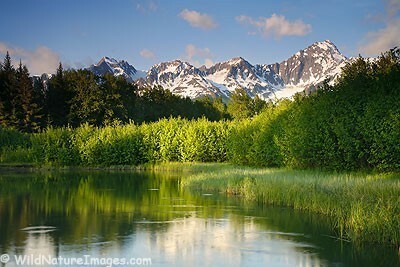 As you’ll see when you drive around the state in your Avis Alaska car rentals, we have a beautiful natural region. These hotels, inns, bed and breakfasts, and lodges are working towards keeping Alaska green. Get started on your trip around Alaska today with a reservation for Avis Alaska car rentals.